My heart always breaks when I cross paths with Christians who are doubting their salvation. How do you help struggling souls — in a simple, straightforward way — understand salvation, think through their relationship with Jesus, diagnose the problem they are having, and find a place to stand where they are assured of their security in Christ? Enter J.D. Greear’s new book, Stop Asking Jesus into Your Heart: How to know for sure you are saved. Some of the doubt-ridden souls I have met over the years were saddled with inadequate teaching about salvation and discipleship. A few were (mis)led to register a profession of faith without actually having been born again. I have heard pulpiteers who seemed not to realize their emotional harangues were creating doubt in the minds of genuine, but sensitive believers. I’ve had the pleasure of helping a number of doubting souls realize either the reality of their sincere faith in Jesus or their need to truly trust him as Lord. I also have had the pleasure of reading J.D.’s excellent new book and find it completely in harmony with the teaching I received as a Southern Baptist youngster and some of the best Southern Baptist pastoral counseling I have heard over the years. If you know anything about the ongoing “discussion” in Southern Baptist life about Reformed theology, you will be interested to know that the book’s foreword was written by Paige Patterson, president of Southwestern Baptist Theological Seminary and one of the decidedly not-Reformed leaders in Southern Baptist life. Like Dr. Patterson says in his foreword, I will say that “while I might disagree with some interpretations here or there, I found this book thoroughly biblical.” I’m sure there are enough argumentative souls in Southern Baptist life who will take J.D. to task over their points of disagreement, as certainly as I am confident that J.D. is more than capable of holding his own in the debate. The fact is, most of the fiery darts that will be launched in his direction will fall harmlessly to the side because the criticisms are anticipated and answered in the book. In this case, as always, it’s a great idea to actually read the book before you critique it. I was delighted to see how J.D. explains the nature of belief and salvation, especially when he notes that repentance is both a personal choice and a work of God’s Spirit. 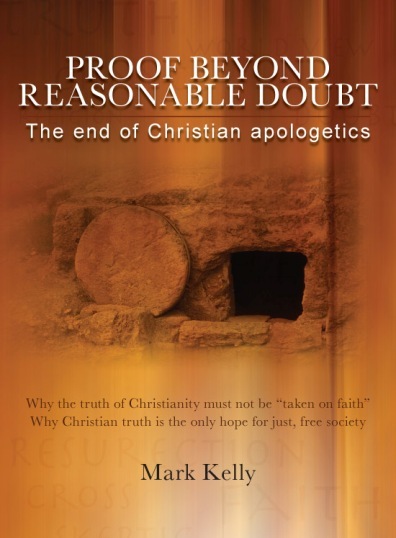 His very insightful observation — that assurance of salvation is based on a present posture of repentance and belief in the finished work of Christ — opens the door to helping doubting souls diagnose where exactly they stand in relationship with Christ. Two of his later chapters — on the evidence a person has believed and what to do when you continue to doubt — mean the book will continue to be helpful to the once-doubting soul after the initial issue has been resolved. J.D.’s new book is very personal in tone and eminently readable, in spite of the fact the author has one of those “Piled Higher Deeper” degrees. It’s an instructive read for believers searching for answers to their questions about salvation, belief, and repentance. It will be a helpful ministry to individuals wrestling with doubt about their relationship with Christ. And it ought to be required reading for those compulsive souls who obsessively read blogs and passionately “debate” issues in the comm boxes. There’s never a lack of opinions. It’s really nice when they are informed. Learn more about the book on Amazon.com by clicking here. 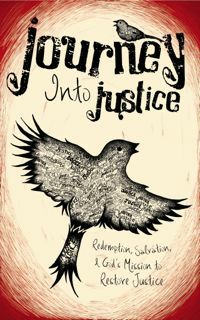 Read an excerpt on jdgreear.com. Read a review by Brad Sarian and a related article by J.D. on ctlibrary.com. This entry was posted in Books and tagged assurance of salvation, belief, doubt, faith, J.D. Greear, once saved always saved, repentance, Summit Church. Bookmark the permalink.